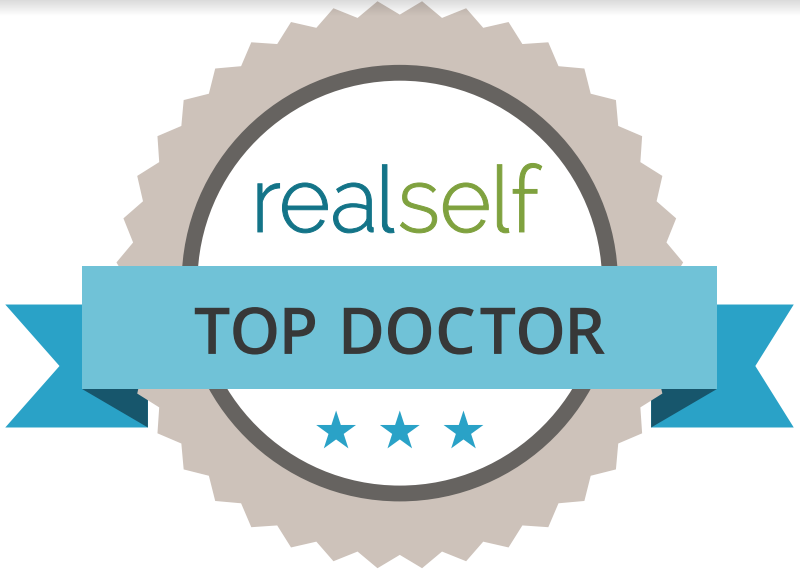 Illuminize Peel is the gentlest of Skin Medica Peels. 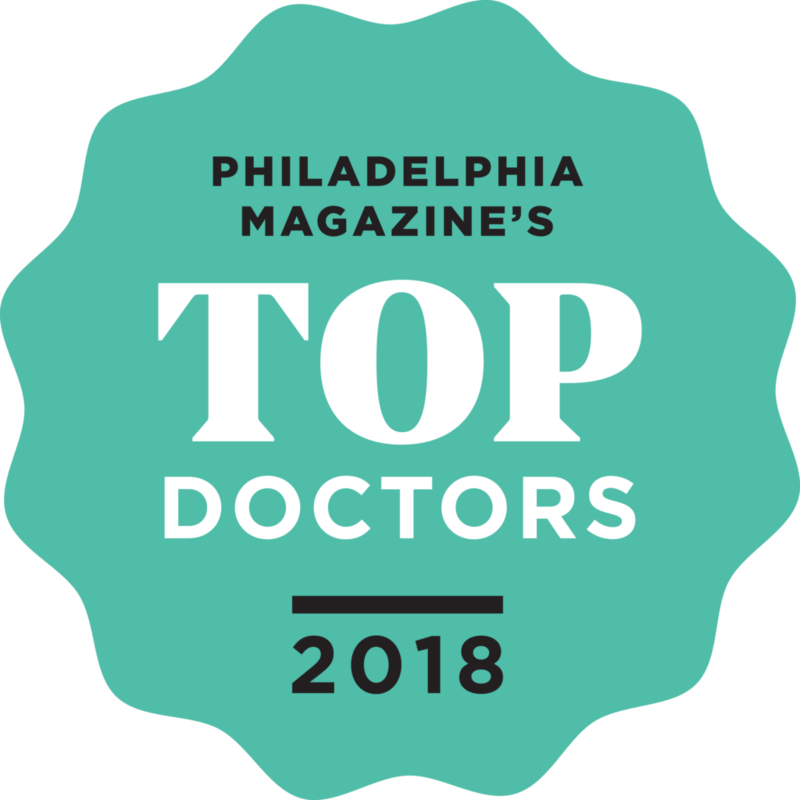 It is perfect for first-time, chemical-peel patients with mild skin imperfections who are looking for brighter, more radiant skin with no downtime. Great for all skin types and color. Your skin will leave looking radiant, healthy and fresh. Vitalize Peel is perfect for patients with mild to moderate skin imperfections and pigmentation due to skin aging, sun damage, acne, acne scarring, and melasma, a hormonal pigmentation commonly referred to as the mask of pregnancy. While addressing pigmentation, the Vitalize Peel can also improve fine lines and wrinkles, skin tone and texture. 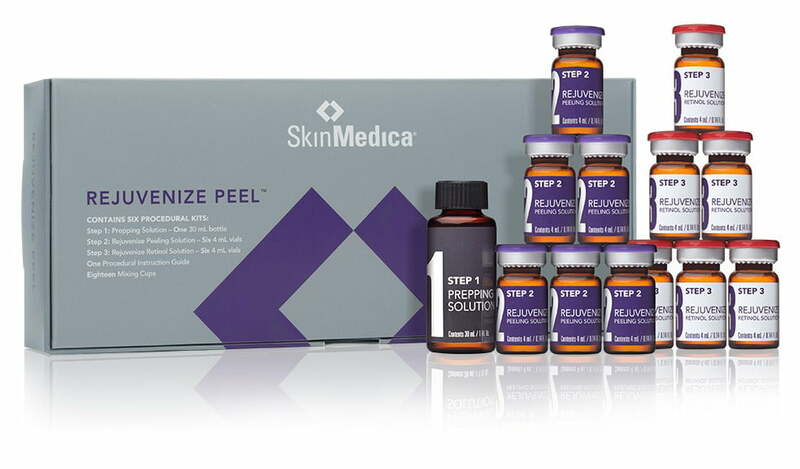 Peeling can range from mild flaking to sheets of skin occurring 24-48 hours post treatment and can last for 5-7 days varying on the thickness of the skin. 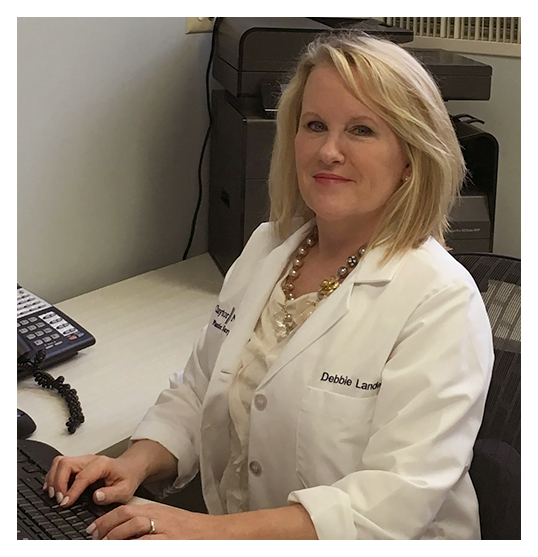 Results can be seen as little as one treatment but is recommended in a series of 3 to 6 treatments spaced 3-4 weeks apart for optimal results. Rejuvenize Peel is an acceleration of the Vitalize Peel addressing moderate to severe imperfections and pigmentation while smoothing fine lines, wrinkles and texture for a brighter more even skin tone. 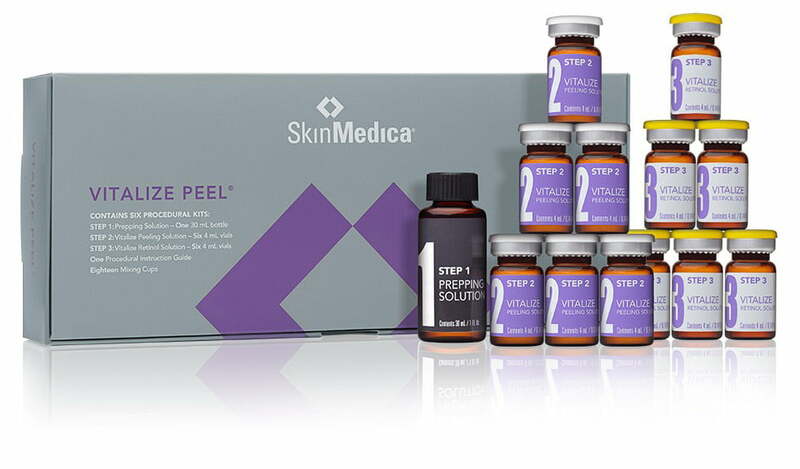 Peeling can range from mild flaking to sheets of skin occurring 24-48 hours post treatment and can last for 5-7 days varying on the thickness of the skin. 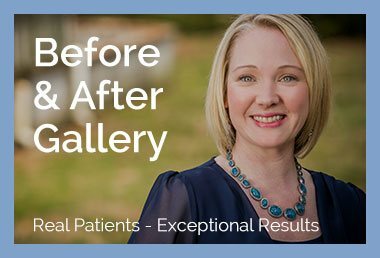 Results can be seen as little as one treatment but is recommended in a series of 3 to 6 treatments spaced 3-4 weeks apart for optimal results.